Their color is red. 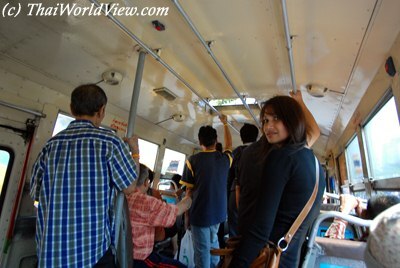 it is a cheap way to travel through Bangkok but they are always full especially at rush working hours. There is no air conditioning inside but all windows are opened. Being in a common bus (รถเมล์แดง) during a traffic jam in April, the hottest month in Thailand, is a tough experience due to heat and fumes. From time to time, common red buses are free in Bangkok, following important events such as new prime minister appointment. These small air conditioning buses travel on special bus routes. Passengers can watch Micro Bus TV channel or read newspapers. The ticket is sold 30 Baht. It was too expensive for most Thai people. So in december 1998, the company was in huge debt. 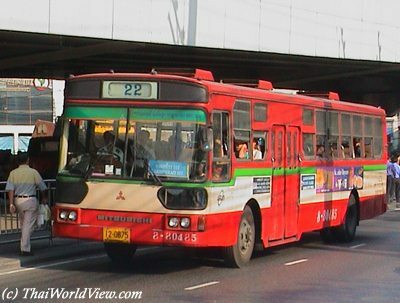 In 1999, Micro-bus are still running but on lesser lanes. 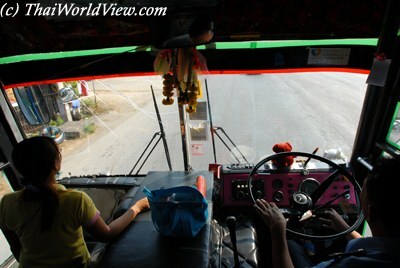 The price for air conditioning bus (รถแอร์) depends on the distance. In a bus, seats in the back are reserved to monks. If a woman is sitting, she should let go her seat because a woman cannot touch a monk. 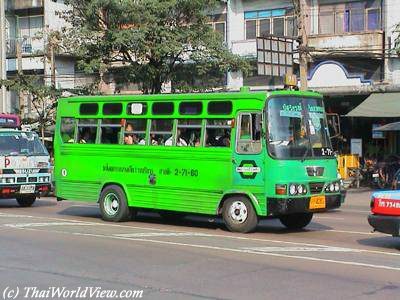 Such green bus (รถเมล์เขียว) can stop almost anywhere whenever a passenger wishes to get off. 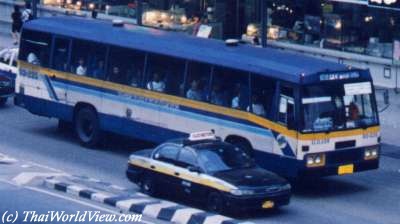 In 2008 due to increasing oil prices, Bangkok Mass Transit Authority's red bus fare hit to Bt8.50 and the private blue bus fare hit to Bt10. Many bus lines have new or old itinerary. They are called old road ("SAI KAO" - สายเก่า) or new road ("SAI MAI" - สายใหม่). 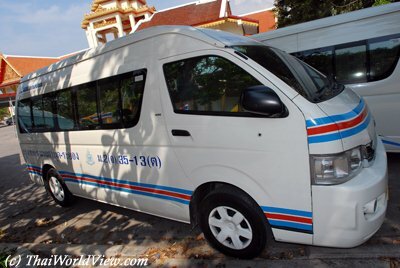 There are also vans (รถตู้) going from Bangkok to surrounding cities. They can transport 16 passengers. 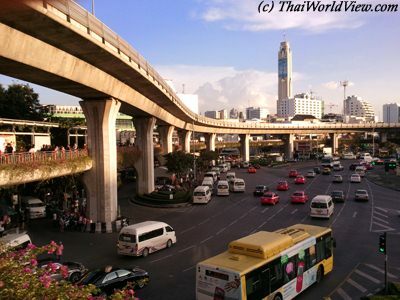 One of their terminus is located near Victory monument. Prices are reasonable, i.e. 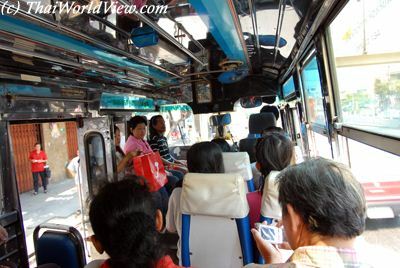 a trip to Nakhon Pathom costs 60 baht. Those small vans are fast, convenient and leave as soon as they are full.